It’s not how much we give but how much love we put into giving. Gift giving to a lady friend may be difficult for the guys because you don’t want to send the wrong signals to her because of the present. If you want to show your love for her as a friend you have to keep in mind things that she like most and how she would react to the gift is another thing. Friends are always there for us, giving their time, lending their ears in times of trouble and their mere presence makes us feel loved and cared for. We remember to equate and thank our friends when special holidays come. Are you looking for gorgeous gifts that your lady friend will love? Read on and choose from the gift ideas we have carefully picked that are guaranteed to wow your lady friend on Saint Patrick’s Day. Just in time for St. Patrick’s Day, this four leaf clover charm necklace is set to bring good luck for the wearer. The four leaf clover is very rare to find and the odds of finding one is quite slim. According to the Irish traditions and legends, each leaflet represents a significant value such as hope, faith, love and luck for the finder. 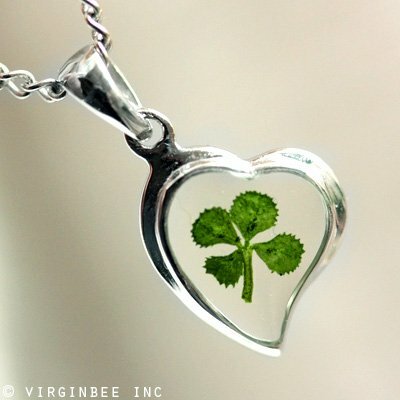 This necklace has a real four leaf clover which is carefully enclosed in a heart silver pendant. The heart pendant comes with a matching stylish chain of superb quality. Its chain is 18 inches long, made in solid 925 stamp hallmark sterling silver with 1.50 mm link width and standard clasp connector. This is the perfect gift for a lady friend who is Irish or simply Irish by heart. It is elegantly designed and is strikingly beautiful especially when worn. A stroke of good luck is easily attracted on Saint Patrick’s Day with this four leaf clover charm necklace. This gorgeous piece of jewellery could definitely highlight the beauty of your lady friend. It is very stylish and is made from high quality 0.925 Sterling silver. It weighs only 2 grams which makes it light and would not strain the ears. With its kidney wire design, the wearer could put it on and off easily in no time. The four leaf clover is carefully copied and detailed on this fine piece of jewellery. These earrings are great for evening gowns or modernized old day apparel. 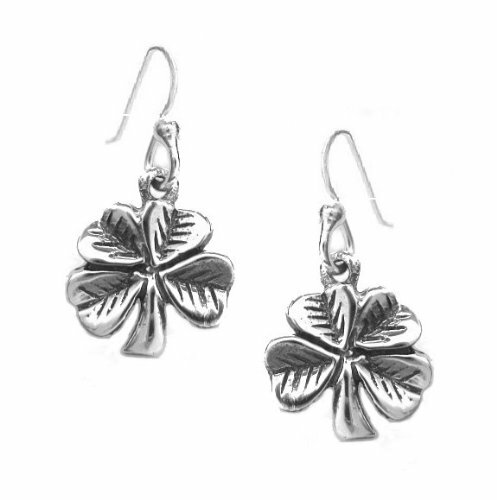 These stylish earrings will give your lady friend a very chic and classy look on Saint Patrick’s Day. This gift is ideal for the coffee lover lady friend. 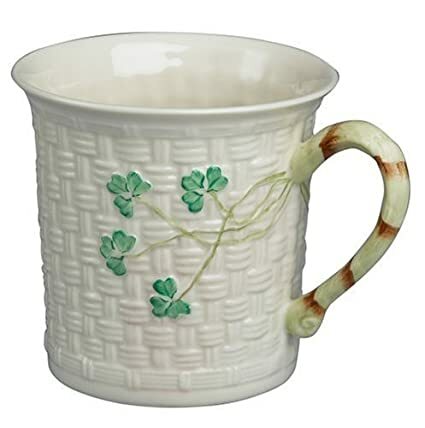 Serve up a cup of Irish coffee in Belleek’s Shamrock mug, snap out of that Irish lullaby and celebrate the morning of St. Patrick’s Day and any other mornings with an Irish jig. The detailed basket weaving design in this mug makes it unique and very beautiful. Renowned basket weaver, Michael Maguire, brought his weaving talents to Belleek Pottery in the 1880’s and thus Belleek’s Shamrock pattern was born. Every single piece of Belleek China is made using highly evolved materials and techniques handed down from generation to generation. It is made in Ireland and fine Parian China as its material. Each shamrock design is hand painted and carefully glazed. It is four inches and weighs 11 ounces which makes it a perfect coffee mug to store the right amount of coffee. In addition, it is dishwasher safe so your friend can easily toss it in the dishwasher without being worried that it would break. This mug is a gorgeous addition to any home. Give your friend the luck of Irish in this beautifully designed wine and beverage bottle stopper. The grip is a three leaf clover shamrock which represents the Irish pride. It is has the chrome finish and the shamrock has the hunter green with cream colored edging. It is 3 and ¾ inches long which makes it handy and can slip right into one’s palm and pocket. 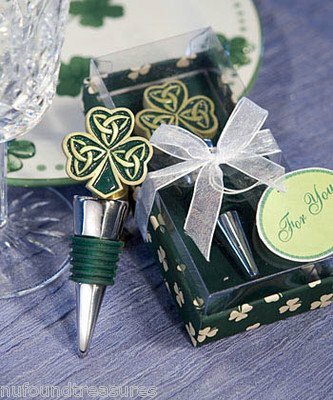 The wine bottle stopper is elegantly enclosed in a pretty gift box with full of shamrocks design. This is a perfect gift for your wine lover friend this coming St. Patrick’s Day. This is an ideal gift for your lady friend who loves to collect and wear shoes. Striking and eye catchy designs of this platform stiletto pumps make it shine on Saint Patrick’s Day. The three leaf clover gives the Irish touch on this shoe. The sole of this is manmade which makes it carefully made and delicately designed. The platform measures approximately 1.25 inches while the stiletto heels are 5 inches tall. This would be perfect for your height deprived friend who loves to wear high heels all the time. It comes in green and in pink. The green stilettos are a perfect match for your friend’s Saint Patrick’s Day outfit. She can flaunt her style and does her signature walk in style with these lovely pumps. There are various sizes to choose from, sizes run from 4 to 10. The shamrock on the ankle strap makes it scream Irish and eye catchy. This fabulous shoe is a true staple piece for her footwear collection. Bring an Irish glow to your lady friend’s outdoor decorations with this Shamrock Wind Chime by Needzo. This wind chime is one of a kind and can’t be seen in stores. It is made out of glass and metal with 6 inches in diameter and 16 inches in length. Celebrate the Irish festivity and show your support with this shamrock chime. 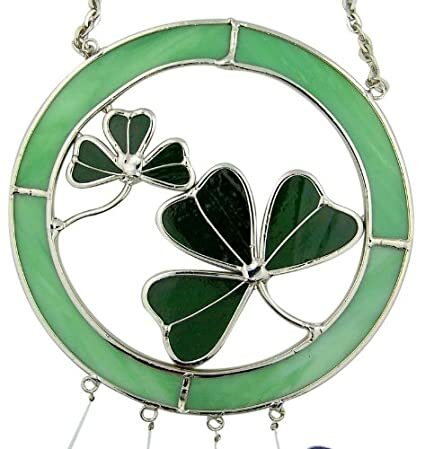 The shamrock is exquisitely designed in a stained glass which makes it the center of the attention in this unique wind chime. Needzo is a family owned and operated company and their number one priority is their customer’s satisfaction. This is best placed in front of entrance doors or in the garden’s patio. This is a beautiful addition to your friend’s Saint Patrick’s Day designs.